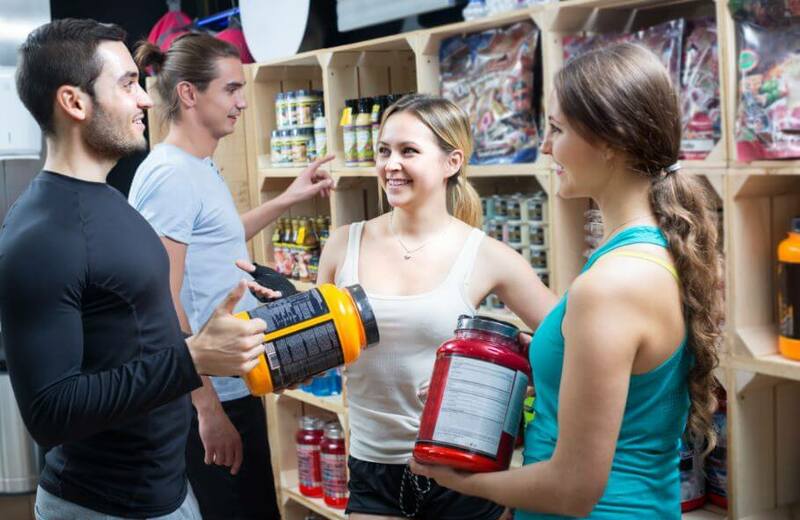 Within the extensive range of supplements you can take, it's recommendable to study carefully the best ones to gain muscle and help you with the physical development that comes from your gym training. Muscle mass defines the good functioning of your body. 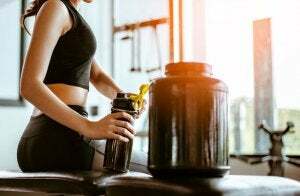 Whether they’re food or vitamin supplements, the ones needed to gain muscle contain protein that helps you to develop muscle; others are for burning fat or improving your health. But none of them work without a balanced diet that’s rich in nutrients, complemented by the right workout routine. Protein intake is your first option. Although there are different types, whey protein is the most effective to gain muscle. It’s obtained by isolating whey, and it has a biological value of 110, superior to the 93 value that eggs and milk have. Experts recommend consuming 0,5 to 2 grams of protein for each kilogram of body weight. They advise you to take it twice a day, in the morning and in the evening, after training because this moment is when you can absorb more nutrients. It will depend on your muscle mass and the workout you do. Casein is another type of protein that you can combine with whey protein. It’s a slow absorption protein. The intake should be between 20 to 40 grams before going to sleep and another 20 grams after training. It helps with muscle protein synthesis. Creatine is another of the 14 supplements to gain muscle. It’s highly effective for people who practice bodybuilding and work out frequently. You can obtain it through eating lean meat as well. You can start a trial period, taking it three times a day. The recommendation is to take a daily dose of 5 grams, dissolved in a protein shake or in grape juice for 90 days. Mineral multivitamins contain phosphorous, potassium, iron and all the complex B vitamins. They help in the transmission of nerve impulses and muscle contraction. You can find them in presentations for both women and men. The branched-chain amino acids synthesize proteins. 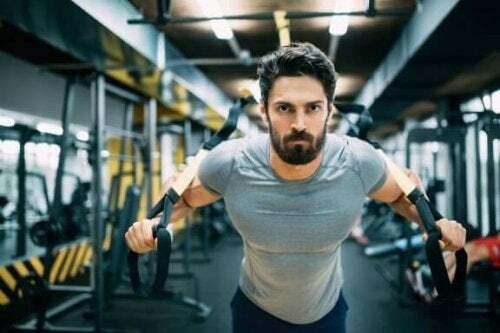 Leucine, isoleucine, and valine improve your endurance, aerobic and anaerobic capacity and maintain your muscles when you reduce your caloric intake. You should take 5 to 10 grams at breakfast and before training. Nitric oxide (NO2) increases the oxygen and blood flow in your muscles. So, by providing constant energy, you avoid fatigue. It’s an amino acid that accelerates your cardiovascular system, and its use must be strictly supervised by a trainer or a nutritionist. Glutamine strengthens your immune system, neutralizes the excess of lactic acid in your muscles and is an anti-catabolic. It maintains your accelerated metabolism. Experts recommend a 5-gram dose in a glass of water before going to bed and after training. Glucosamine protects your joints from the demanding sessions of training and lifting weights. The omega-3 supplements come from seaweed, fish oils and vegetables with anabolic properties. These are vital fatty acids. Caffeine comes from leaves and seeds. You can get it from coffee, sodas and energy drinks, but if you take it as a supplement you should avoid those other sources. The excess of caffeine is dangerous for your health. It increases your performance in your workout routine. Beta-alanine is an essential amino acid that you can find in fish, pork, and chicken. It prevents acidity and reduces tiredness and muscle failure. Carbs are another supplement to gain muscle. They help to recover the glycogen you lose during training. A 30 to 40 grams dose half an hour after training is enough. You can get Vitamin C and E through food or in shakes with the N-acetylcysteine coenzyme and lycopene. Thermogenic supplements contain herbs, aspirin, ephedrine, and caffeine. So they help you to burn fat and inhibit the appetite; its use is restricted if you suffer from certain conditions. Otherwise, you can consume them half an hour before training and at 6 o’clock in the afternoon. A week later, the dose changes to half an hour before breakfast and half an hour before training. These 14 supplements to gain muscle should be recommended by a specialist. It’s necessary to have a diet to gain muscle and a demanding workout routine.